On June 10, 2015, His Holiness Patriarch Kirill of Moscow and All Russia received a delegation of the Patriarchate of Jerusalem at the patriarchal residence in St. Daniel’s Monastery. The delegation included Archbishop Aristarchos of Constantina and Archbishop Theophylactos of Jordan. Present at the meeting were Metropolitan Hilarion of Volokolamsk, head of the Moscow Patriarchate’s department for external church relations (DECR), Archpriest Nikolay Balashov, DECR vice-chairman, and Archpriest Igor Yakimchuk, DECR secretary for inter-Orthodox relations. Patriarch Kirill warmly welcomed the guests, stressing, ‘Meetings with our brothers from Jerusalem are always very delightful for me. I remember the Holy City and the feelings every Orthodox comes to experience coming in contact with a holy place. The Holy City and the brothers who serve there are a part of my life. We always follow with great attention and love what is going on in the Church of Jerusalem’. ‘For us it is a special joy to be in the blessed Russian land, in the blessed Russian Church’, Archbishop Aristarchos responded. The delegation conveyed to the Primate of the Russian Orthodox Church a fraternal greeting from His Beatitude Patriarch Theophilos of Jerusalem. During their talk the sides discussed matters of mutual concern. 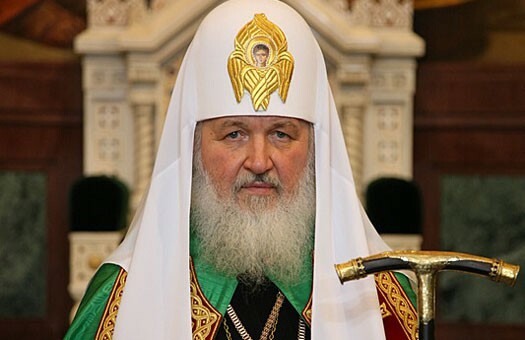 In conclusion of the meeting Patriarch Kirill presented the hierarch of the Church of Jerusalem with pectoral icons produced to commemorate the centenary of the demise of the Holy Prince Vladimir Equal-to-the-Apostles.